Come Sunday is based on the true story of Evangelist Carlton Pearson who was ostracised by his church for preaching that there is no Hell. I’m in for reasons including, Ejiofor makes good choices, I want to to see the arguments from both sides, I want to know the story of a person with enough courage to risk it all. Lastly, the subject matter is just so very interesting. I don’t know that Phoenix as Jesus Christ feels like a perfect casting instinctually. However I’m very open to be proven wrong, especially since Phoenix is quite the talent. Sarah-Sofie Boussnina, Ariane Labed, Ryan Corr, Tahar Rahim and Lubna Azabal also star. Directed by Billy Ray; Nicole Kidman, Julia Roberts, Chiwetel Ejiofor and Alfred Molina are the stars of Secret In Their Eyes. A story about a group of FBI Investigators; a close-knit team for whom everything changes when they learn the identity of the victim of their new murder case. Ray’s movie follows the events and decisions that end up leading to a surprising, yet understandable conclusion, the revelation of which is a key highlight. Seeing evidence of the depth of the friendships between the main protagonists – before, during and after the central crime, that is the thing I enjoyed most about Secret In Their Eyes . One more great moment would have been when the audience learns of the victim’s identity. But…! that little nugget was unfortunately given away for free in the film’s trailer. What is one to do…? Secret In Their Eyes could have been a better movie . The cast performed well but I think they were let down by post production, namely what felt like an awkward overuse of flashback and the trailer edit. 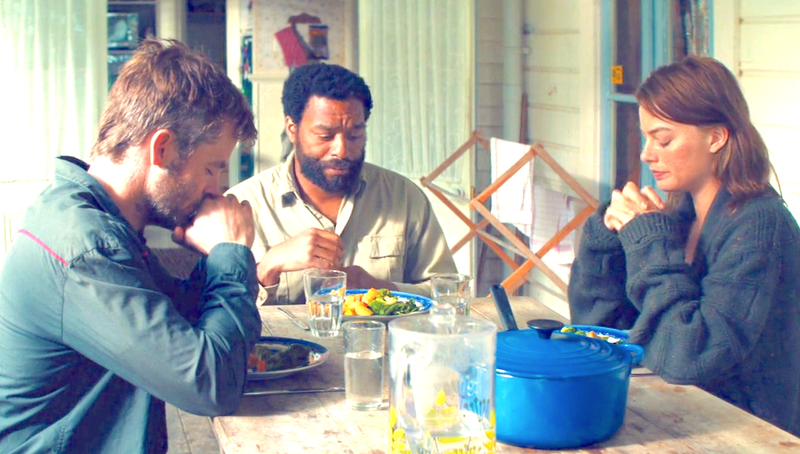 Directed by Craig Zobel, and based on a novel by Robert C. O’Brien, Z For Zachariah is a mysterious drama starring Chiwetel Ejiofor, Margot Robbie and Chris Pine. Set in the aftermath of a disaster that has eradicated most of civilisation, at the centre of the film is a love triangle between the people likely to be the last three left. I tuned in mainly because of the talented cast – and considering the unique circumstances the characters find themselves in, I just had to know how things would turn out for all involved. Naturally, everyone does not win, but it sure is interesting to see how the characters navigate their unique predicaments, making for engaging character studies. I was left thinking about how things can turn out when people let their insecurities get the best of them. Watch it for the subject matter. Triple 9 is from John Hillcoat, a name you may recognise because he’s the director behind the rather good Tom Hardy and Guy Pearce movie, Lawless (2012). I want to take a moment to say well done to the trailer maker because it’s great that very little of the plot has been revealed but yet I’m hooked. It’s probably best that I savour this moment because by the time trailer 2, 3 and maybe even 4 come around, I’ll know far more than I could ever want prior to the movie. So looking forward to this and very excited to see what looks like a seriously badass turn from Kate Winslet. Set in London, England, Love Actually is a romantic comedy written and directed by Richard Curtis, the man responsible for hit films such as Notting Hill (1999), Bridget Jone’s Diary (2001) and most recently, About Time (2013). Focused on the love lives of several couples in the month leading up to Christmas, Curtis’s cast represent an excellent selection of some of the UK’s best acting talent. It is a cast that includes – to name just a few, Bill Nighy, Andrew Lincoln, Keira Knightley, Emma Thompson, Chiwetel Ejiofor and Liam Neeson. 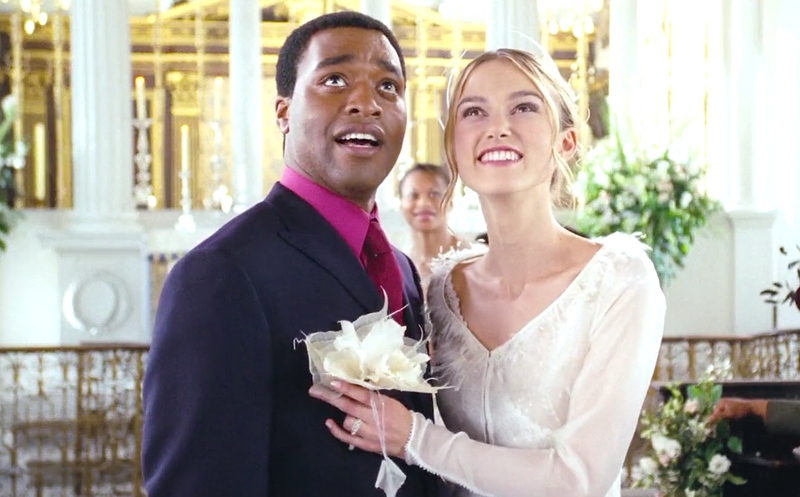 In Love Actually, what Curtis has delivered is a very sweet and funny movie. Along with the classically British humour and eccentricities, there’s a healthy sprinkling of romance, drama and family – just the perfect balance for the holiday season. On the other hand, there are one or two situations / relationships that I didn’t find particularly believable. Not to say that they would never happen, but they certainly felt like a stretch. Still, it is after all the holiday season so perhaps magic is supposed to happen? My inability to believe in love aside… 🙂 Love Actually is a well paced holiday movie with all the right sentiments. I know christmas is not quite here yet but I watched it anyway, for the love and humour. My favourite of the all the couples would have to be Billy and Joe in the recording studio, Sarah and Karl at the office and Judy and Jack… who doesn’t like Judy and Jack?